Is it Really That Hard to Ask Permission for Pre-Employment Screening? We’ve written frequently in our blog about the importance of complying with—and understanding—federal Fair Credit Reporting Act (FCRA) laws for pre-employment screening. Failing to comply puts your company at risk and could cost you—big. One of the easiest tasks involved in FCRA compliance is to gain the consent of a job applicant before conducting a criminal background check – or any employment background check for that matter. It’s a simple matter of providing a widely-available background check consent form that the applicant signs to acknowledge their willingness to participate in the background screening process. To illustrate our point, consider the recent settlement of a class-action lawsuit that cost an employer $2.6 million. The charge? Failure to comply with a few basic FCRA regulations. The suit charged the company (we aren’t naming names) of violating FCRA regulations when the company obtained criminal background reports on job applicants without disclosing to the candidates that they were being screened, and furthermore, the claimants charged that the employer failed to provide applicants with a copy of the report, and that applicants weren’t informed of their rights under FCRA laws. The troubles for the employer began back in 2008 when the lead plaintiff alleged that when he applied for employment, the company didn’t request consent for the background report they obtained on him. The background screening report misidentified the plaintiff as having 27 felony convictions—but the report was for the wrong person, and the results were used to deny the plaintiff a position at the company. Because the plaintiff was not notified that he had been screened—or of the results—he was not able to defend himself and correct the error. The plaintiff identified other applicants who had sought employment at the company, and together, they won the $2.6 million settlement. How Can You Avoid Becoming the Next Headline? 1. Always gain applicant consent before conducting a pre-employment background check. 2. Always provide adverse action notification if the results of a background check will result in a decision that negatively impacts the applicant (deciding not to hire the person, for example). 3. Always give the applicant time to respond to the adverse action notification in case there is a mistake that can be cleared up. This case is a sad situation indeed but one that can be avoided by taking a few simple steps. Working with a background screening company can help you meet your FCRA obligations since no reputable company would conduct a screen without consent. And you can typically hire your provider to handle adverse action notifications on your behalf for a nominal charge. 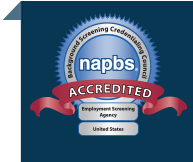 If you’re concerned about how your employment screening program is being handled, request a free initial consultation with our experts.